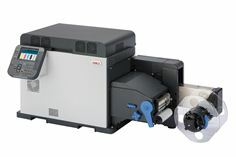 Egham, 24th September 2018 – OKI Europe is expanding into the label printer market with the launch of two new label printers, the Pro Series 1040 and 1050, to the ever expanding OKI Europe portfolio. The Pro Series Label Printers signify excellent value for business owners thanks to their high efficiency and low capital outlay for label production. Users can set up jobs within a matter of minutes thanks to flexible configuration. Business owners and print-service-providers (PSPs) will benefit from on-demand, short-run, colour label printing capability, increasing appeal to new customers and enabling print businesses to profit from lucrative new revenue streams. Media list available (all media should be pre-tested before ordering in quantity).